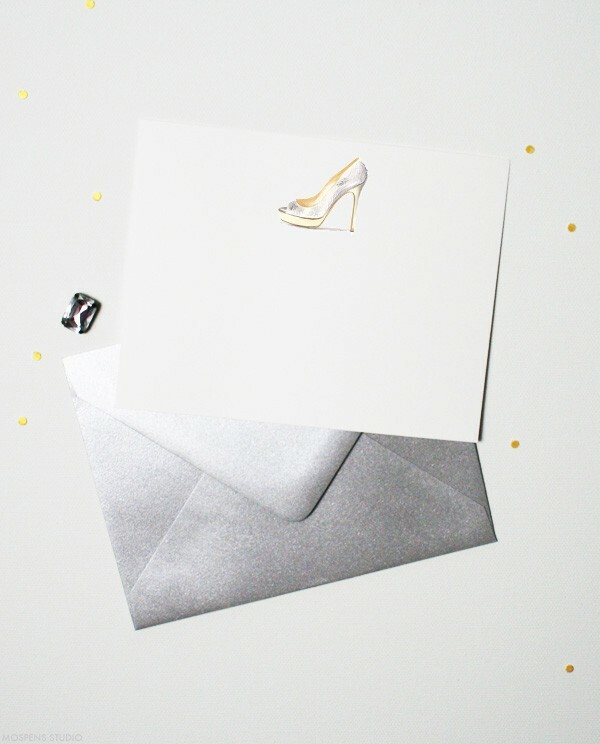 Looking for elegant high heel note cards? Start by slipping these on to your desk. 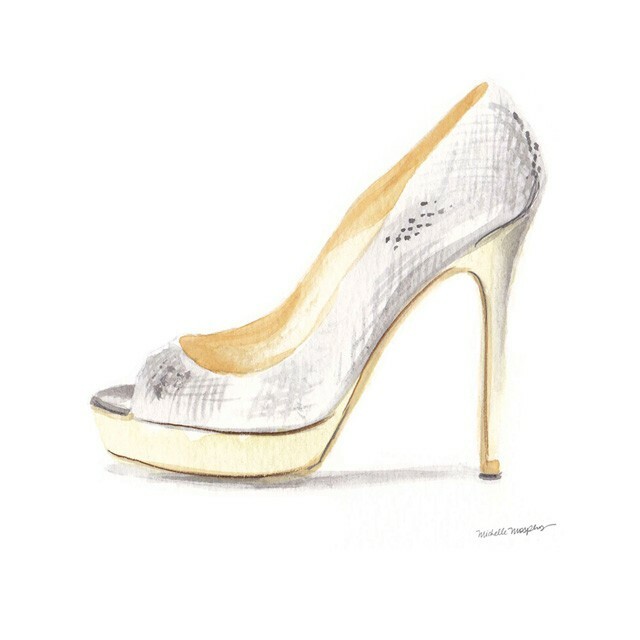 A lovely hand-painted Jimmy Choo-inspired high heel watercolor is the perfect fit for high class stationery. Folder note cards with silver envelopes are perfect for giving thanks. Stylish and fun! This note worthy high heel stationery is perfect for sending a quick Hello or Thank You. Happy Tuesday Shoesday to you!